Explanation: Orion is big. Some of the stars that form the constellation of Orion are part of a giant gas cloud complex that stretches over 100 light years and appears more than 50 times the diameter of the Moon. 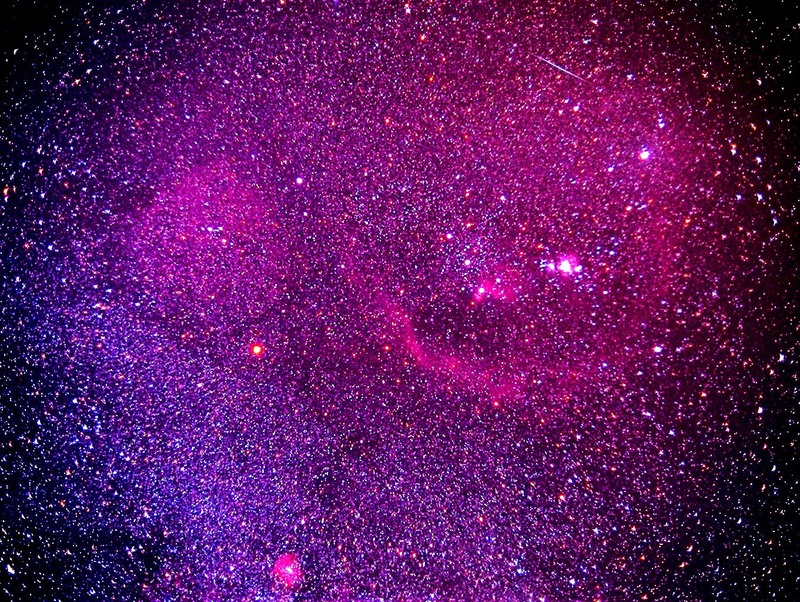 Components of this cloud include the Horsehead Nebula, the Orion Nebula, the Trapezium open cluster, and small disks containing stellar systems which are just forming. At 1500 light years, Orion is the closest star forming region to Earth. 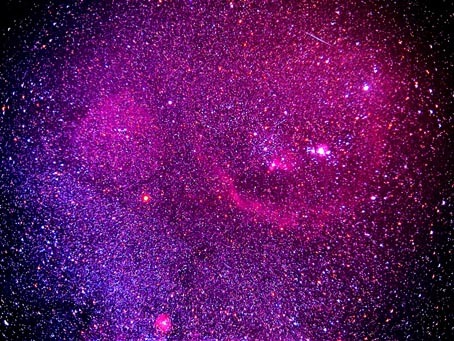 Close inspection of the photo's center should reveal the three stars which form the belt of Orion.